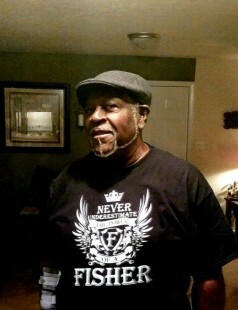 Mr. Bobby L. Melvin, age 61, of 1220 Worstead Drive, Fayetteville, NC departed this life on Sunday, February 10, 2019. Funeral service will be held on Thursday, February 21st at 1:00 PM in the Wiseman Mortuary Chapel. Burial: Chapel grove Church Cemetery. He leaves to cherish his loving memories; wife, Betty Melvin; sons, Bobby L. Melvin, Jr. and Derrick Hart; brothers, Rudolph Melvin (Arletha) and Lee David Melvin (Naomi); sister, Evangelist Shirley Melvin-Tucker (Bruce); three grandchildren and a host of other relatives and friends. There will be a viewing held on Wednesday, February 20th from 2:00 PM to 7:00 PM at the funeral home.